This luxurious and contemporary restaurant with its open Balinese pavilions and thatched ceilings provides dining guests stunning vistas of a lush tropical valley. Set amongst reflection ponds and beautiful timber finishes, the acclaimed restaurant is considered by gourmands as one of the island's top dining spots—a venue that can be appreciated for both casual lunches and more formal dinners. A variety of international media reviews commonly refer to CasCades as one of the world's most romantic restaurants for its breathtaking views, hushed atmosphere and conscientious service. 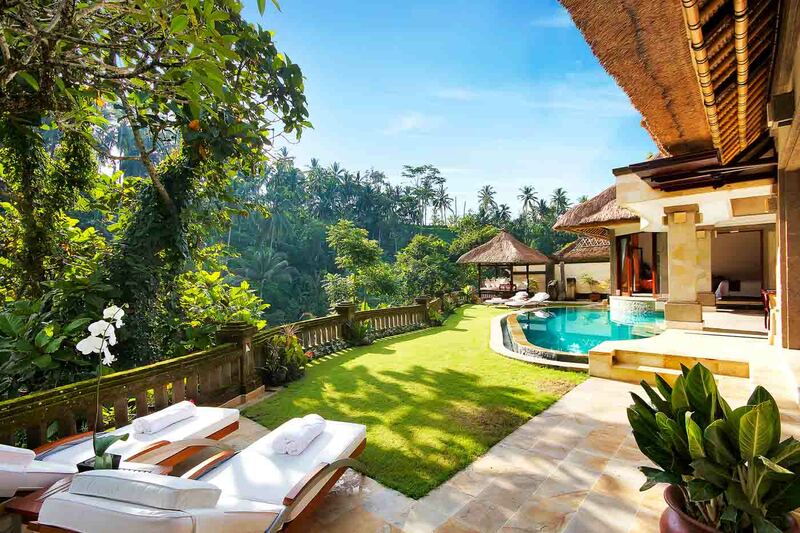 The Viceroy Bali is a family owned and managed resort conveniently situated five minutes from the centre of Ubud. The resort features 25 luxuriously appointed one and two-bedroom private pool villas. It is a sanctuary in paradise and offers complete privacy with breathtaking, tropical valley views. Owned and operated by an Australian family, who understands the needs of international guests, this luxury villa resort is well known by sophisticated international travellers, as one of the world's best tropical, romantic, pampering luxury hotels. The Viceroy Bali marries utmost privacy with comfort and bliss. All the private villas are luxuriously appointed with the latest electronic amenities, an espresso machine, full mini bar, and king size bed with lush bedding. Each villa offers spacious yet cozy outdoor spaces with stunning valley views. Guests of the Viceroy Bali also enjoy impeccable service and peerless public facilities. These include the feted restaurant and bar CasCades, and luxuriant spa and beauty centre Lembah, both with breathtaking vistas over Ubud's breathtaking landscape. Guests also have access to the valley-top infinity pool, boutique, complete and modern gymnasium and library. The Viceroy Bali is located within minutes from Ubud, one of S.E Asia's most charming villages with its leisurely pace and eccentric air, bric-a-brac shops, quaint galleries and cozy cafes. Private villa rooms are a pool and balé, with many thoughtful features that transform it into a romantic villa room for couples or families with an interconnecting door between two villas on the undercover private deck.